“Walking this Frozen Road” was commissioned for Zorongo Flamenco Dance Theater In 2012. This poem is a response to Susana Di Palma’s family story: An Ojibwe woman’s daughters were taken by her white husband to a mission boarding school far from home. 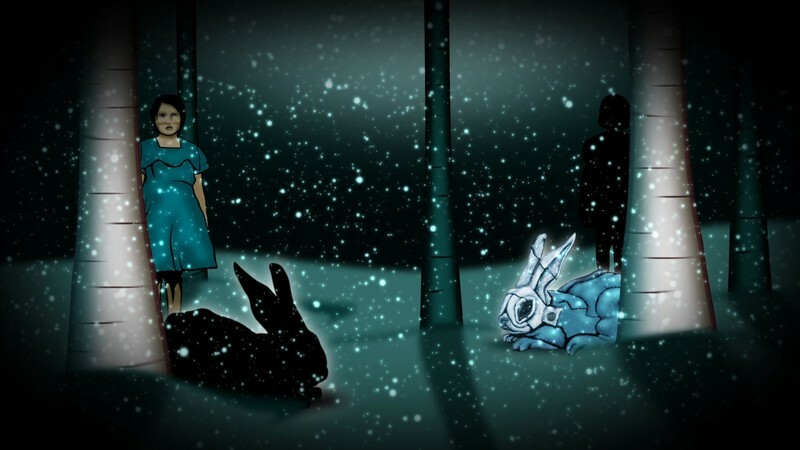 Although she walked more than 60 miles –in deep winter—to retrieve her daughters, the girls refused to return to their Ojibwe mother. Two generations later, a daughter’s love created a dance to explore and heal a family rift. Susana Di Palma’s “Zorro in the Land of the Golden-breasted Woodpecker,” performed at Cowles Center in Minneapolis in 2012, was the first collaboration between Jonathan Thunder and Heid E. Erdrich. “Walking this Frozen Road” was completed in 2017.